Do You Need An Attorney for a Workers’ Compensation Claim in Ohio or Kentucky? The following post is part of our Law Student Blog Writing Project, and is authored by Joe Trammell, a 2020 Juris Doctorate Candidate at The Ohio State University Michael E. Moritz College of Law. Attorneys have learned in law school to be honest, even if it may seem to put them at a disadvantage. It is always better to be truthful, and if there is a good case it won’t matter that some of the law or facts are not favorable. So here is the concession: you do not have to hire a workers’ compensation attorney to receive workers’ compensation. You are legally allowed to file for it on your own. That may seem like a strange way to start a blog post for a law firm that does workers’ compensation, but do not worry. The rest of the article will detail why in many cases you should hire a workers’ compensation attorney. There is a reason why there are many law firms that deal with this area. Laws are complicated, and workers’ compensation laws are a great example of that. Attorneys go through three years of law school (if they go full-time and do not do a dual-degree program) learning how to interpret them. At Ohio State’s law school, it is one of the first things taught to new students, and the process never stops. Add to it the need to interpret the exact meanings of parts of laws through reading cases decided by courts, and it is a very complicated process. This is also why criminal trials guarantee a right to counsel. The landmark Supreme Court case, Gideon v. Wainwright, decided this. Mr. Gideon was not given representation in a burglary case, and faced a prosecutor who was in the courtroom for a living. Mr. Gideon lost his case, but after he won his Supreme Court appeal, he was retried—this time with representation—and was acquitted. Nothing had changed in Mr. Gideon’s case. He just had someone that knew how to take the facts and ask the right questions. Unfortunately, the government does not provide counsel for workers’ compensation. But the point to sharing this is to illustrate how difficult it can be for people to understand the law and advocate for their rights when they have not been trained. That is not an indication of anyone’s intelligence or abilities; it just means that law is a specialized field and requires specialized training, the same way a doctor or pharmacist needs specialized training. When you receive representation for your claims, you gain the benefit of that attorney’s education and experience not only practicing law, but practicing that specific kind of law. This may be pretty new to you, but the attorney is used to it. He or she knows what the laws say, what strategies to implement and what arguments to make, how to provide proof for your case, how to file the necessary paperwork, and how to answer the questions that will be asked. This relieves the burden on you and puts it on the shoulders of someone who does this for a career. How Can An Attorney Help Me Win an Ohio or Kentucky Workers’ Compensation Claim? One complexity in workers’ compensation laws is the list of exempted employees. Both Ohio and Kentucky cover most employees. But both exempt agriculture workers, domestic workers, and anyone who voluntarily rejects workers’ compensation coverage. Kentucky exempts nonprofit workers who make their living through the nonprofit, while Ohio exempts volunteer nonprofit officers. Another is the statute of limitations. Statutes of limitation prevent claims from being filed after a certain length of time has passed. In Kentucky, an employee has two years from the date of the injury to file for workers compensation (or, if the employer initially paid voluntarily and then stopped, two years from the last payment). In Ohio, it is only one year. But, if you were not keeping up on the law, you might think it is two years. The statute of limitations was changed to one year in 2017 after decades of being two. But, to further complicate, this change only applies to injuries and death from injuries. The statute of limitations for occupational diseases and death from occupational diseases remains two years. Ohio also has something known as “subrogation,” which allows the Bureau of Workers’ Compensation to recover from the injured person being compensated if the injured person has recovered twice. An example of this would be if the person receives workers’ compensation and then sues the person responsible (which could not be his or her employer) and receives money from the lawsuit as well. The Bureau of Workers’ Compensation would be able to recover some of the money from the lawsuit. Kentucky has similar provisions, although subrogation is calculated very differently in the two states. Kentucky has a specific law that allows coal miners suffering from Black Lung (which this author’s great-grandfather died from) to recover extra, although this law continues to fluctuate. These examples demonstrate a portion of the complexities of workers’ compensation laws. There are many deadlines and forms to keep track of, and the laws continue to change. With the state elections taking place this year, the possibility remains strong that more changes are coming. It is possible for you to track this yourself, but attorneys have more experience dealing with these claims and better resources available to research and help with the case. There are some situations in which an attorney is especially needed. One, representation is more needed when the employer does not cooperate. Perhaps the employer denies the claim, refuses to fully compensate you, or you are retaliated against. It can also help to have an attorney if there is something else complicating your claim, such as if you are receiving other government benefits or have a preexisting condition, or if your injury is serious and affects your work. It is also advisable to have an attorney with you when you have a workers’ compensation hearing. If you are in this unfortunate situation or find yourself in it in the future, keep this in mind. You can go it alone, but it might be a more effective claim with some assistance from workers’ compensation attorneys. Do you need help with a Workers’ Compensation claim? Call Lawrence & Associates and let one of our experienced attorneys help. We’re Working Hard for the Working Class, and we want to help you! Compensation: When most people hear the word “compensation” they think of monetary recovery. While there is monetary recovery involved in Ohio Worker’s Compensation, it is only one of several benefits available to injured workers. In fact, Ohio Workers’ Compensation provides many forms of recovery that are valuable, but do not come in the form of a check or monetary award. These valuable benefits are unique to Workers’ Compensation and are often times not available in civil lawsuits. However, these added benefits do come as somewhat of a “tradeoff” as some of the monetary recovery received via the Ohio Bureau of Worker’s Compensation is smaller in amount or may seem less significant at first glance when compared to the monetary recovery that can be common in civil litigation. This blog discusses some of the unique aspects of the Ohio Worker’s Compensation system; pointing out both the positives and the negatives for injured workers as compared to more typical civil litigation lawsuits. In order to receive any Ohio Workers’ Compensation benefits, monetary or otherwise, a claim must first be allowed by the Ohio Bureau of Workers’ Compensation. Before wasting your time, energy, and resources spinning your wheels to see if your claim is allowed you will want to consult with an attorney who specializes in Ohio Workers’ Compensation. What they tell you may surprise you. For example – did you know that Ohio is a “no fault” state? This means that no showing of breach of duty on the part of the employer is required for the allowance of a claim. Unlike commonplace civil litigation the defendant need not do anything wrong, careless, or negligent. If an employee is hurt in the course of, and arising out of, the injured employee’s employment they are covered! The actions the employer took, or failed to take to prevent such an accident are most times irrelevant. While this no fault system may lead an injured worker to believe it is easy to get their claim allowed and compensation awarded, there are many other hurtles the injured worker may be unaware of that will cause their claim to be denied if not handled correctly. For example, if an employee legitimately gets hurt at work, but hurts a part of their body that has been hurt previously, or may not be perfect to begin with due to the natural aging process, the allowance of such claim may be fought by several other parties at several levels on the basis that it was a preexisting condition. Another situation in which it is nearly impossible to get a claim allowed is for a psychological condition. While Ohio does recognize psychological conditions in certain situations, there are particular procedures and requirements which must be met to receive benefits for psychological injuries. Another quite common scenario is for a claim to be initially allowed for a very minor injury, such as a sprain or strain, but then to not be recognized for the true, but more expensive condition suffered such as radiculopathy or torn muscles and ligaments which will require surgery. Only an experienced Ohio Worker’s Compensation attorney can help overcome these common obstacles in receiving the benefits an Injured Worker may be entitled to. Generally speaking there is a lot less monetary compensation paid to plaintiffs in Ohio Workers’ Compensation than would be recovered for the exact same injury in a Personal Injury lawsuit. The reason for this is twofold: First, there are benefits for plaintiffs hurt at the work place that are not available to plaintiffs in Personal Injury lawsuits; these benefits will be spelled out later on in this blog article. Secondly, as a counter balance to some of those benefits to the injured worker, there are no punitive damages (in other words no pain and suffering) imposed on the employers of a Workers’ Compensation claim, unless there is a special circumstance known as a VSSR. So, now that we’ve established that plaintiffs tend to recover significantly less money through Workers’ Compensation as compared to other civil litigation, let’s talk about how much money is involved and when an injured worker can expect to receive it. There are usually two situations in which an injured worker can expect to receive monetary compensation in a typical Ohio Workers’ Compensation Claim. The first is known as Temporary Total Disability, or TTD for short. An Injured Worker becomes eligible for TTD when they miss eight or more consecutive days of work and a Doctor has taken them off of work via a form called a MEDCO14. Therefore, plaintiffs who have missed less than eight consecutive days or do not have a MEDCO14 completely filled out and clearly stating that they have work restrictions that prevent them from returning to work will not be eligible for TTD. This is one reason why it pays to have an attorney in your corner. Oftentimes Doctors who are unfamiliar with such required forms will fail to fill them out or fill these forms out riddled with errors. These mistakes can cost injured workers thousands of dollars in TTD, so you will want someone who is familiar with these requirements to advocate on your behalf to your doctor. This number is calculated by statute and is dependent on the wage you were earning prior to your workplace injury. This calculation is set out by the Ohio Revised Code and can be complex and confusing to understand. Therefore it is important to consult with an attorney to ensure you are not being shortchanged on the TTD you receive. One aspect of this type of wage loss recovery that differs from its civil litigation counterparts is that TTD is capped every year by state statute. For example, injured workers receiving TTD in 2018, can receive no more than 902 dollars per week, regardless of what they were earning prior to their injury. The second major situation an injured worker is typically eligible for monetary compensation is much later on in their claim when they have been determined by a doctor to have reached Maximum Medical Improvement, or MMI. MMI is defined by Ohio statute as “a treatment plateau (static or well-stabilized) at which no fundamental functional or physiological change can be expected within reasonable medical probability in spite of continuing medical or rehabilitative procedures.” However, reaching MMI does not necessarily mean the injured worker is %100 recovered. Again the monetary compensation is set out by the Ohio Revised Code, which provides a calculation that is based on the Permanent Partial Disability the injured worker has sustained. By way of example, if an injured worker reaches MMI, but is determined to only be 90% recovered, their compensation will be based on the remaining 10% Permanent Partial Disability. Much like TTD, this calculation is confusing and the process for obtaining this award is complex. This is another component of Workers’ Compensation in which an attorney who specializes in Ohio Workers’ Compensation will add tremendous value to your claim. Other possible, but far less common Workers’ Compensation monetary benefits can include: working wage loss, VSSR, death benefits, and living maintenance. Only an attorney with experience in Ohio Workers’ Compensation will be able to identify if these special benefits are entitled to a particular injury or claim. Other than monetary compensation, Ohio Workers’ Compensation provides injured workers with medical treatment and rehabilitation that can often times far outweigh the value of compensation paid via TTD and Permanent Partial Disability. The Ohio Workers’ Compensation system is designed to enable Injured Workers to be treated and get back to work as soon as possible. Therefore if an injury or disease is determined to be work related, treatment for such aliment is covered through the Workers’ Compensation System. Such treatment can include, but is not limited to surgeries, diagnostic tests such as MRIs and x-rays, physical therapy, chiropractic treatment, and pain management. However, for this valuable treatment to be covered through your Workers’ Compensation claim, the treatment must be deemed reasonable and necessary to treat a condition that has been formally allowed in the claim. Again, getting both conditions and treatments allowed is confusing and time consuming. If a condition or treatment is denied an injured worker may only have a short amount of time to figure out how to appeal it. This is when an attorney with Ohio Workers’ Compensation experience can make a remarkable difference in your claim. Due to the fact that so many of these benefits are received by the injured worker before the end of their claim, the payout at the end in the form of Permanent Partial Disability, is much less than what would be recovered for the same injury in civil litigation. In other words, if a person were to recover for an accident through a personal injury lawsuit, that person would have to front all of their own medical treatment, and come up with income during time missed from work, then at the end of their treatment they would recover all of the money spent on medical bills, lost on missed wages, and even be compensated for their pain and suffering. In Ohio Workers’ Compensation however, the Injured Worker will be receiving most of these benefits as they work through the claim, and because the Ohio Workers’ Compensation system is set up to get workers back to work rather than to punish employers the monetary sum at the end will almost always be quite less than the same injury would result in through a Personal Injury claim. Many injured workers are surprised to find out that even after reaching MMI and getting a Permanent Partial Disability award, there may be further benefits an injured worker is entitled to, that only an attorney with Ohio Workers’ Compensation experience will be able to identify. These can include maintenance treatment, vocational rehabilitation, and even future increases in Permanent Partial Disability. The good news is that most Workers’ Compensation Attorneys work on a contingency basis. Meaning, the attorney only gets paid a percentage of money they recover for you. Therefore, just as most injured workers are eligible for monetary awards twice during their claim, so also attorneys get paid for their work most commonly at these two junctures as well: when back due TTD is awarded, and at the resolution of the case upon reaching MMI. “What about when my attorney wins additional conditions, diagnostic tests, or treatment for me?” You might ask. Most attorneys will only charge a very small and nominal fee for this type of service if that attorney feels that the Injured Worker is not likely eligible for any of the monetary compensation to which they would collect a typical fee for. If the attorney is certain that there is lost time at issue in the claim, or a Permanent Partial Disability has been suffered by the injured worker, any work done to get treatment allowed will be done at no additional charge. Last, but certainly not least are some time frames that injured workers should be well aware of. The first is that of a short 14 day appeal deadline. Oftentimes when an aspect of a claim, or a claim in its entirety is not allowed an Injured Worker may have only 14 days to appeal such a decision. Additionally, disputes over the allowance of benefits necessitate Injured Workers to appear at various hearings and medical exams on quite little notice. Thus, an injured worker does not want to delay in getting an attorney. In order to make sure you have representation at such hearings, and to ensure you do not miss appeal deadlines, it is in your own best interest to retain an attorney as early as possible. In sum, Ohio Workers’ Compensation is a complex area of the law. Attorneys and non-attorneys alike may has some understanding of what to expect in a run of the mill civil lawsuit, but these understandings and expectations cannot be applied in the same way to Ohio Workers’ Compensation claims. 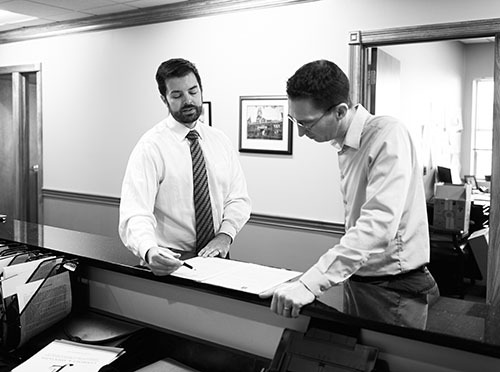 Before you find yourself in over your head, or facing a deadline that you do not understand come in for a free consultation with one of our attorneys who specializes in Ohio Workers’ Compensation. Why Is a Treating Doctor an Important Part of a Worker’s Compensation Case? When a worker gets injured at work, they aren’t thinking about which doctor to go to. They are hurt and want medical attention and that’s about as far as the thought process goes. In contrast, the insurance company has already given the subject a lot of thought. Often insurance companies have pre-selected the doctor’s office they want an injured worker to treat with. While their medical treatment is not controlled by the insurance company directly, these offices are in long-standing relationships with the workers’ compensation carrier. Under Kentucky workers’ compensation law, medical treatment is controlled by a “designated physician” this is a doctor the injured worker selects on what is known as a “Form 113”. Sometimes an insurance company will fill in the Form 113 with a physician’s office of their choosing. However, the injured worker has the right to pick their own doctor. The selection of a Form 113 doctor is crucially important. This doctor is the “quarterback” of the injured worker’s medical team. They are the physician who calls the medical plays, so to speak. This doctor determines whether a referral to a specialist is necessary, and they often make a recommendation as to which specialist to see. This in turn determines whether an injured worker gets diagnostic testing such as MRIs and whether the injured worker gets surgical care. For the selected doctor, the decision on medical care is actually twofold, not only are they determining whether they think there is a medical need for treatment, they are deciding whether or not the treatment is work-related. For example, let’s say you twisted your knee at work. If your doctor is of the mindset that you need surgery now but consider that part of that surgery is to treat an arthritic condition, they might determine that you cannot have the surgery under workers’ compensation coverage. This might be the case even though you 1) got hurt at work, 2) there were witnesses 3) you had never once received any kind of medical care for arthritis or for your knees in your entire life! When a doctor makes this decision they are not necessarily following the law. In Kentucky it is well-established that if a worker has some kind of condition that pre-existed the work injury, but was dormant i.e. it never bothered them before the work injury so they weren’t under medical care for it and then the condition becomes problematic after the work injury then both the work injury itself AND the prior dormant condition can be treated under the workers compensation carrier coverage. If the injured worker is off work while this treatment is undertaken, they may qualify for income benefits. This makes the doctor’s decision very important. If a doctor does not agree with the law, say, due to their political stance, or if the doctor simply is unaware of the law, the treatment and income benefits the injured worker is entitled to may get denied. As you can see, it is extremely important that an injured worker gets a treating physician that either already has an understanding of the legal ramifications of the decisions they make or is at least willing to listen and learn. Sadly, not all doctors are. An understanding of the workers’ compensation system is not the only requirement for the right treating physician. An insurance company is in business to make money. They do not make money by paying for medical care or paying an injured worker income benefits. Therefore, they will do things to try and minimize the amount they pay out. One of the things the insurance company will do is challenge the medical treatment through a process called utilization review, or peer review. In these scenarios the insurance company has hired a doctor, or often a nurse, to review the records to see if they believe the injured worker should get the medical care their doctor asked for. The reviewer will not see the patient, not even once, they will often refer to what are called the Official Disability Guidelines, and commonly they will determine that the treatment is not compensable. In the denial they will often state that they attempted to call the treating doctor but could not get through. The treating doctor has the right to appeal the decision of the reviewer, but they have a limited amount of time. It is very important that the injured worker has a doctor who is willing to answer the call and to respond to the denial when it comes. If the doctor simply doesn’t bother, the injured worker may have to litigate just to get their medical care, and this can take months. If the injured worker gives up, then the insurance company saves a bunch of money. The treating doctor has an important role to play in the amount of income benefits an injured worker receives. This is because these benefits are calculated using an impairment rating provided by the physician. Many times, a hired expert will give an opinion on the percentage of impairment, and a good attorney will know which experts to use. However, the Administrative Law Judges often consider the view of the treating physician to be very significant. If your treating doctor is unwilling to figure out your impairment, or if they are unfamiliar with the process, they will not be assisting your case. The treating doctor will be the one who assesses work restrictions, in other words they determine whether an injured worker can go back to work. Often the insurance company will employ a nurse case manager who will question the doctor on this issue. The injured worker will want a physician that is willing and able to justify their decision on work restrictions under this kind of challenge. At Lawrence & Associates we describe the physicians that do these things as “patient advocates”. While proper medical care is essential, patient advocacy is always very important too. Employee Deaths on the Job: What Benefits Do Ohio and Kentucky Workers’ Compensation Provide? The saddest day at Lawrence & Associates is when our attorneys sit down with a grieving widow, widower, or family member to discuss the workplace death of a loved one. Injuries are bad enough – always painful, often debilitating – but injuries can heal. When a family member dies, however, we are left with the difficult task of explaining how the Workers’ Compensation law compensates for a death the cold math and dollars and cents. Often called “survivors’ benefits,” they do anything but make the survivor whole. However, since our firm is located in the Cincinnati area and therefore workers with deceased workers’ families in both Kentucky and Ohio, we have seen big differences in how the law handles compensation for employee’s deaths. The deficiencies in the Workers’ Compensation system for these tragedies may shock you. Worker Deaths in Ohio – What Benefits are Owed to the Family? Ohio’s Workers’ Compensation system has three types of benefits. There is a death benefit that is paid to the deceased workers’ estate in one lump sum, a provision for payment of all medical bills incurred before death, and a benefit to dependents that is paid on a weekly or bi-weekly basis from the date of the worker’s death onward. Of these three, the medical benefit is the easiest to describe – 100% of all medical bills must be paid directly to the provider. No money goes to the deceased’s estate or family related to the medical bills. The death benefit in Ohio is truly shocking – Ohio Revised Code 4123.66 only allows $5,500 dollars for funeral expenses, and no other amount for the deceased workers’ pain and suffering or loss of future earnings. Compare this to a person that dies in a car accident, who can sometimes get millions of dollars for pain and suffering or loss of future earnings. Assume, for a moment, that a 40 year person earns $10/hour and is killed. Even if you only paid their family for their loss of future earnings going forward with no allowance for inflation or wage raises, that 40 year old would earn $561,600 before reaching social security retirement age. The $5,500 offered by Ohio’s Workers’ Compensation system is paltry by comparison, and many commenters have observed that it makes it cheaper for a company to kill a worker than to injure the worker. Unfortunately, until Ohio’s state legislature changes this law, Ohio workers are stuck with a $5,500 death benefit. Ohio is friendlier to the dependents of the deceased worker, so long as those dependents are spouses or children. Under ORC 4123.59, both receive two-thirds of the “average weekly wage” the worker had before he or she died. Spouses receive this money until they re-marry, at which time they receive two years of this benefit as a lump sum and then cease receiving it. Children receive this benefit until they turn eighteen, unless they are in school (in which case the benefit continues until the child turns twenty-five), or unless the child is incapable of having a job for other reasons (such as a physical or mental disability). However, fully dependent parents or siblings of the deceased worker cannot receive any benefit whatsoever. The failings of Ohio’s system are laid bare when you consider the example of June. June was a civil engineer. She worked her way through school and, by age 30, she had an excellent job with a construction company making $120,000 per year. She was responsible for caring for her younger brother, who had severe mental retardation, and who lived with her. (Her parents had died several years before.) But June was killed in an on-site accident at age 33. Because her brother is not provided for by statute, and because June’s small family did not have the resources to care for him, he was forced to go to an assisted living facility. And because Ohio’s laws provide such a poor death benefit, June’s death was compensated only by paying $5,500 – which covered only 75% of her funeral costs. Surely there has to be a better way. Worker Deaths in Kentucky – What Benefits are Owed to the Family? Much like Ohio, Kentucky’s system provides for full payment of all medical bills, a death benefit, and a weekly or bi-weekly benefit to the deceased worker’s dependents. However, Kentucky’s provisions are much more generous. First, Kentucky’s death benefit is updated every year to account for inflation, and as of 2018 is currently sits at $83,336.22. This amount is paid directly into the deceased workers’ estate. Kentucky’s Department of Workers’ Claims updates the death benefit on their website every year. In Kentucky, a surviving spouse with no children gets 50% of the deceased employee’s average weekly wage. Upon remarriage, the spouse also receives a two year lump sum. If there are surviving children and a surviving spouse, the spouse gets 45% if the kids live with him or her, and 40% if not. The children get 15% for each child, not to exceed 30% total. If there are more than two children, each child gets an equal share of 30% of the average weekly wage. The child’s benefit ends when the child turns eighteen, unless they are in school (in which case the benefit continues until the child turns twenty-two), or unless the child is incapable of having a job for other reasons (such as a physical or mental disability). Actually dependent siblings, parents, and grandparents can receive 25% of the deceased workers’ average weekly wage. Considering June’s example, above, it is easy to see that Kentucky’s system is superior. The death benefit would have more than covered the funeral expenses, and would have created a nest egg for a family member to help take care of June’s brother. And the weekly benefit for June’s brother would have continued to provide June’s family a way to care for him going forward. While both Ohio’s and Kentucky’s systems could use some tweaking and updating, Kentucky does a far better job of taking care of its’ deceased workers’ families. If you have any other questions about Survivor Benefits in Workers’ Compensation cases, please call our Fort Mitchell, Kentucky office at 859-371-5997 or our West Chester, Ohio office at 513-351-5997. We are one of the largest workers’ compensation firms in Greater Cincinnati and we have helped over 3,000 clients. We’re Working Hard for the Working Class, and we want to help you!